Scientists from Stanford University and the Department of Energy's SLAC National Accelerator Laboratory have captured the first atomic-level images of finger-like growths called dendrites that can pierce the barrier between battery compartments and trigger short circuits or fires. Dendrites and the problems they cause have been a stumbling block on the road to developing new types of batteries that store more energy so electric cars, cell phones, laptops and other devices can go longer between charges. This is the first study to examine the inner lives of batteries with cryo-electron microscopy, or cryo-EM, a technique whose ability to image delicate, flash-frozen proteins and other "biological machines" in atomic detail was honored with the 2017 Nobel Prize in chemistry. 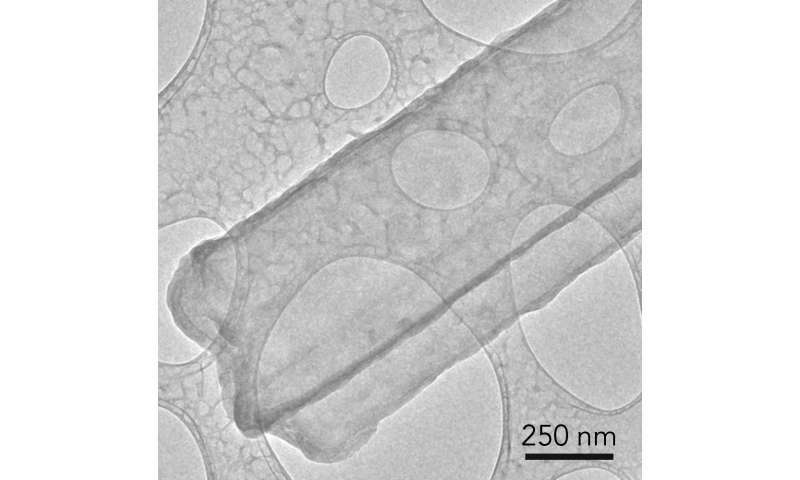 The new images reveal that each lithium metal dendrite is a long, beautifully formed six-sided crystal - not the irregular, pitted shape depicted in previous electron microscope shots. 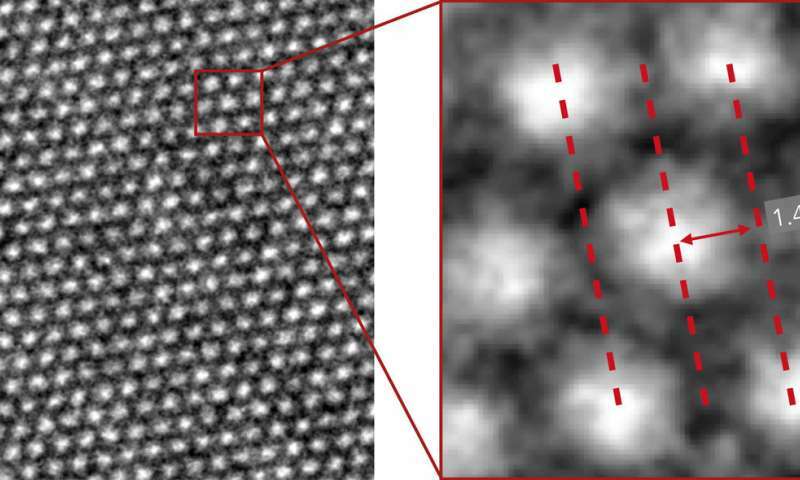 The ability to see this level of detail for the first time with cryo-EM will give scientists a powerful tool for understanding how batteries and their components work at the most fundamental level and for investigating why high-energy batteries used in laptops, cell phones, airplanes and electric cars sometimes fail, the researchers said. They reported their findings in Science today. "This is super exciting and opens up amazing opportunities," said Yi Cui, a professor at SLAC and Stanford and investigator with the Stanford Institute for Materials and Energy Sciences (SIMES) whose group did the research. "With cryo-EM, you can look at a material that's fragile and chemically unstable and you can preserve its pristine state - what it looks like in a real battery - and look at it under high resolution," he said. "This includes all kinds of battery materials. The lithium metal we studied here is just one example, but it's an exciting and very challenging one." Cui's lab is one of many developing strategies to prevent damage from dendrites, like adding chemicals to the electrolyte to keep them from growing or developing a "smart" battery that automatically shuts off when it senses that dendrites are invading the barrier between the battery's chambers. But until now, scientists have not been able to get atomic-scale images of dendrites or other sensitive battery parts. The method of choice - transmission electron microscopy, or TEM - was too harsh for many materials, including lithium metal. "TEM sample preparation is carried out in air, but lithium metal corrodes very quickly in air," said Yuzhang Li, a Stanford graduate student who led the work with fellow grad student Yanbin Li. "Every time we tried to view lithium metal at high magnification with an electron microscope the electrons would drill holes in the dendrite or even melt it altogether." "It's like focusing sunlight onto a leaf with a magnifying glass. But if you cool the leaf at the same time you focus the light on it, the heat will be dissipated and the leaf will be unharmed. That's what we do with cryo-EM. When it comes to imaging these battery materials, the difference is very stark." In cryo-EM, samples are flash-frozen by dipping them into liquid nitrogen, then sliced for examination under the microscope. You can freeze a whole coin-cell battery at a particular point in its charge-discharge cycle, remove the component you're interested in and see what is happening inside that component at an atom-by-atom scale. You could even create a stop-action movie of battery activity by stringing together images made at different points in the cycle. 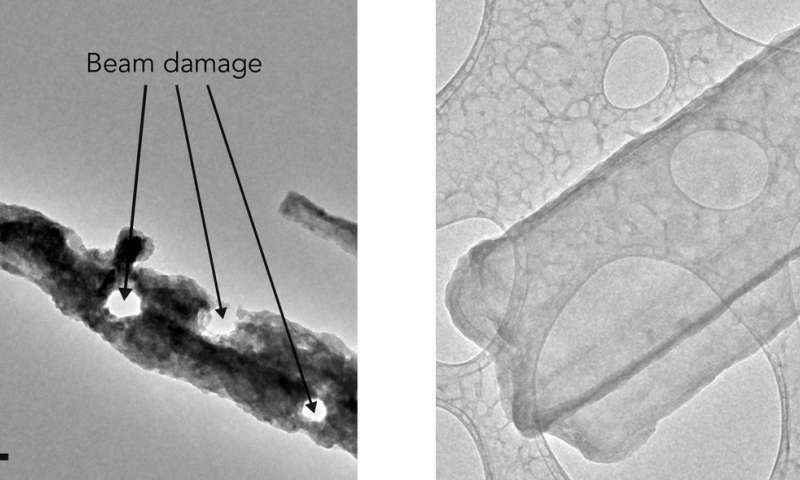 For this study, the team used a cryo-EM instrument at Stanford School of Medicine to examine thousands of lithium metal dendrites that had been exposed to various electrolytes. They looked not only at the metal part of the dendrite, but also at a coating called SEI, or solid electrolyte interphase, that develops as the dendrite reacts with the surrounding electrolyte. This same coating also forms on metal electrodes as a battery charges and discharges, and controlling its growth and stability are crucial for efficient battery operation. They discovered, to their surprise, that the dendrites are crystalline, faceted nanowires that prefer to grow in certain directions. Some of them developed kinks as they grew, but their crystal structure remained surprisingly intact in spite of the kinks. "We were really excited. This was the first time we were able to get such detailed images of a dendrite, and we also saw the nanostructure of the SEI layer for the first time," said Yanbin Li. "This tool can help us understand what different electrolytes do and why certain ones work better than others." Going forward, the researchers say they plan to focus on learning more about the chemistry and structure of the SEI layer. Is this phenomenon in any way related or similar to the tin whisker problem with modern lead free solder? It causes the same problems by shorting out stuff if that's what you mean. No, what I meant was that very little seems to be understood as to exactly how these whiskers form. We know that they do. But we don't know why.